I know most of you follow An Aesthete's Lament, religiously. One of my favorite features is, "Why Aren't These Still Made? Well, I saw this design and thought, why wasn't this ever made? 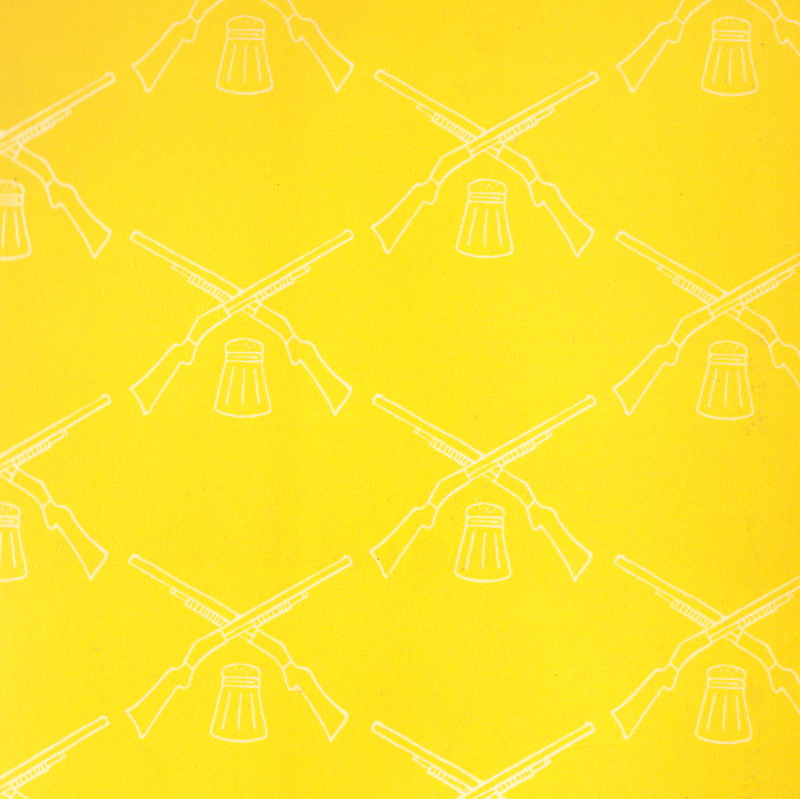 The (badly reproduced) design is from the endpapers of The Gun Club Cookbook, featured earlier this month on Cookbook Of The Day. 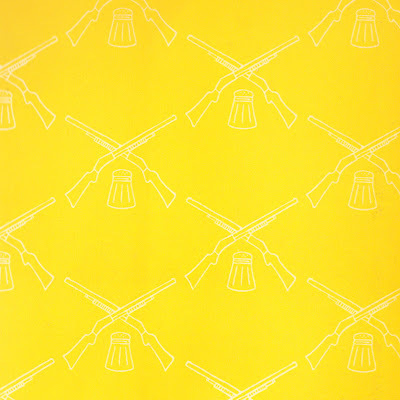 I just think these endpapers with their bright yellow background and crossed guns over a salt shaker would make a terrific wallpaper. Though such a thing might have been unthinkable in the days of Elsie de Wolfe, today anyone, including me, can be their own wallpaper designer. In Canada, a company named Rollout Custom Wallpaper will produce wallpaper from your design. I wonder if the The Gun Club Drink Book has crossed guns over a martini glass?